Jackie Soriano and her team of beauty specialists offer premium hair and makeup services unrivaled in the Cayman Islands. 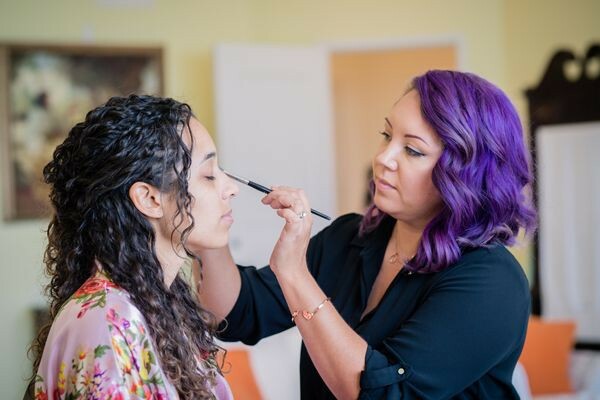 Founded in 2010, Jackie Soriano’s Hair and Makeup Services offer clients a personable, and professional beauty experience. Today that vision is a reality, and her clients benefit from luxury beauty services and exclusive products by top stylists and artists. Jackie and her team are passionate about the beauty industry and work with the latest, most illustrious brands and styles. With an array of products to choose from such as Bobbi Brown, Fenty, Makeup Forever, Temptu, Too Faced, Dior, Nars, Still, Tarte, Kat Von D, Urban Decay, Anastasia, Kenra, Bumble and Bumble, Ouai and more. Whilst our location is based in Grand Cayman, we frequently cater for global destination weddings and events. The demand for our services has taken us to such places as Dubai, Italy, Hong Kong, California, Whistler B.C as well as neighboring islands in the Caribbean. Jackie Soriano is the leading hair up-styling and makeup artist in the Cayman Islands. Her career started in her hometown Los Angeles, California over 11 years ago. She received her license in Cosmetology by Paul Mitchell, Makeup certification from Napoleon Perdis and is a certified Temptu Airbrush Makeup Artist. Her career as a bridal beauty specialist started after relocating to Grand Cayman in 2010. Jackie has had the privilege to work with The Knot, Caribbean Bride, Engage Summit, Cayman Vows, WedLuxe Magazine, and Maharani Weddings. Trina is a Texas/Michigan native with over 13 year's experience in the beauty industry. She holds a diploma from David Pressley School of Cosmetology, Michigan and a certificate on advanced techniques of makeup application, skincare and haircare. She is a certified Make Up Artist through Christian Dior. Trina has had the privilege of working for Warner Bros. Entertainment, Sephora, Estee Lauder and MAC cosmetics during her career before coming to Cayman.